Do you know the importance of rain gutters? Gutters funnel water off of the roof and away from your home -- which protects your siding, windows, doors, and foundation from excessive water damage. 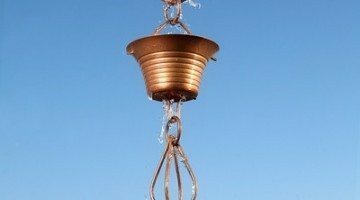 Homeowners share their personal tips and advice for installing rain chains, copper gutters, and other types of gutter systems. 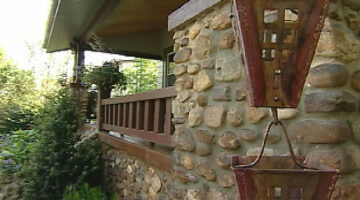 Rain Chains Add Charm And Character To Your House… They’re Eco-Friendly Too! Rain chains are kind of like downspouts turned inside-out. You get the opportunity to hear AND see rain water cascading through your own personal waterfall. 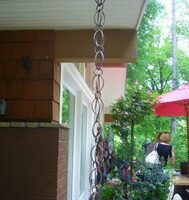 Double link rain chains are a unique garden accessory that add appeal to any home. Dull, dreary downspouts offer a fraction of architectural appeal in comparison to these Japanese-inspired features.